Long Island is gradually losing connection to its rich cultural heritage through the demise of its historic environments. 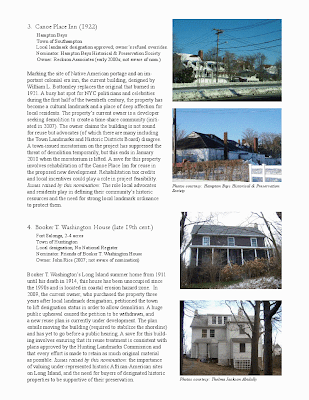 Every year, historic properties spanning the length of Long Island are increasingly threatened by adverse conditions that result from a variety of complex issues. 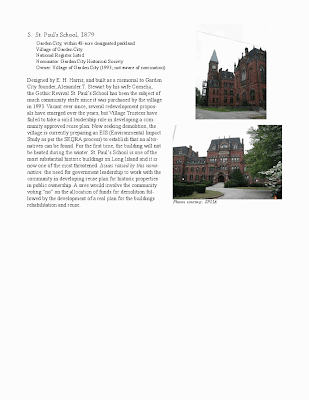 Whether an outright plan for demolition, a lack of appreciation for historic value, or the inability to develop and implement long range planning, all point to the need for improved outreach, education, coordination, and region-wide support for the protection and reuse of historic resources. 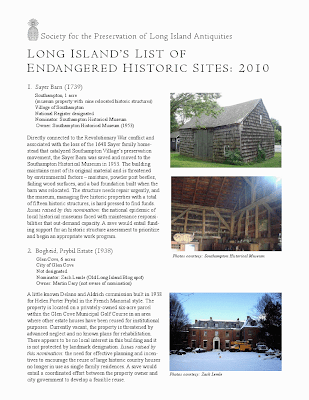 Recognizing this need and building on other state and national models, the Society for the Preservation of Long Island Antiquities has launched an Endangered Properties Program for Long Island.